Shaw-owned Freedom Mobile is offering a discount for customers who bring their own phones (BYOP), plus a 3GB data bonus and more. Right now, when you activate on select Data + Talk, Data or Home BYOP plans with Freedom, you can get up to $10 off for 12 months. Data + Talk plans include the Big Gig + Talk 5GB, 10GB, 15GB and 20GB plans. All plans come with unlimited Canada-wide calling and global text, the listed data amount plus a 3GB bonus. That means you can get as much as 23GB of data. Additionally, all those plans receive a $10 credit each month for your first 12 months. Users can also get another $5 off per month with Freedom’s Digital Discount, which requires you sign up for Auto Pay. The $10/12 month discount is only available on new Pay Before or Pay After lines. All in, that means users can get the Big Gig + Talk 5GB plan, regularly $55 per month, for $40 for 12 months. Plus, the 3GB bonus makes it an 8GB plan. The $10/12 month discount and 3GB bonus also apply to Freedom’s Big Gig 10GB, 15GB and 20GB data plans. These plans don’t include a calling package — users pay $0.05 per minute for Canada-wide calling — but do have unlimited global texting. Freedom’s 1GB Data plan includes a $5 discount for the first three months instead. 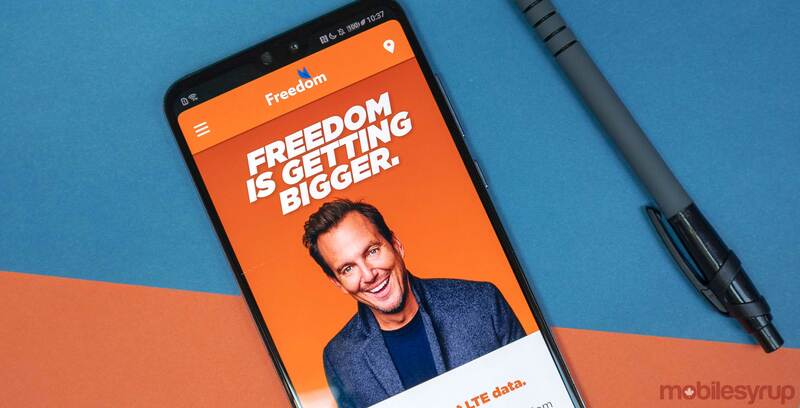 Finally, Freedom’s ‘Home’ plans include $5/3 month discounts on the Home 250MB plan, which includes 250MB of data, 100 minutes of Canada-wide talk, unlimited incoming calls and unlimited Canada and U.S. texting. The Home 500MB plan, which offers 500MB of data, unlimited Canada-wide talk and unlimited Canada and U.S. texting also benefits from the $5/3 month discount. The Home 2GB plan offers a bonus 2GB — giving you 4GB in total — plus $5 for the first 12 months of your plan. Freedom also has a limited-time LTE + 3G promo, which nets you 3GB of LTE data, 6.5GB of 3G data with no overage fees, unlimited Canada-wide talk and global text for $43 per month after the Digital Discount. Subscribers can also get the $5/12 month discount on this plan. Like the $10/12 month discount, the $5/3 month and $5/12 month discounts appear as $5 credits on your bill for the first three and twelve months respectively. On top of this, Freedom has a ‘Multi-line Offer’ that nets users a 15 percent promotional discount plus a $2 per month ‘Better Together’ savings discount. Coupled with the $5 Digital Discount, that means you can get the Big Gig + Talk 10GB $65 plan for $48.25 per month when you activate more than one line. You can learn more about these deals and discounts over on Freedom’s website. These prices and offers may vary depending on location.